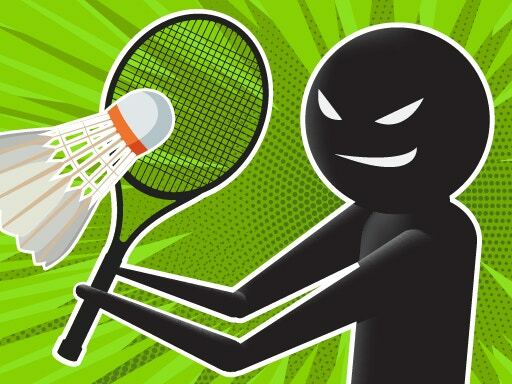 The badminton sport is a kind of similar sport to tennis but the differences between tennis and badminton that badminton sport's ball is not round like tennis ball and badminton ball is maden by goose-quill and it has a different shape and there is also some differences between both of them's rackets. 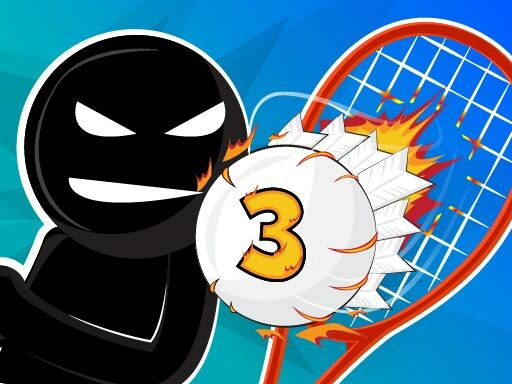 Your aim in this sport is, to hit the ball way to the opponent'sarea. If your rival fails to strike it back, you will have the score. In first chapter of this game, the flash game fans had so much fun. You can play this game against to computer's players or against to your friend like you did on chapter first. You can be sure that game will take the place between your favorite flash games. Let's get started! After the game is loaded, click "Play" button to go game's main menu. For playing as single, you click "Start" button. For playing as two player, you click "2 PLAYER" button. Then you choose your game character and start to play. Move: "Left AND RIGHT ARROW KEYS"
On single mode of this game, you can unlock new characters which depends on your game success. Also you can choose the character which is like a ball, you can control it by "Mouse"
and you can play the game as easier with this character. Badminton matches end as per seven score which player reaches that score first. On single mode of the game, you can resume your game from the character that you lose the match against to him. During the game, you control the game status from the indicator which is on the top of the game screen. You can play the first chapter of this game on twoplayergames.org. We wish you have fun!